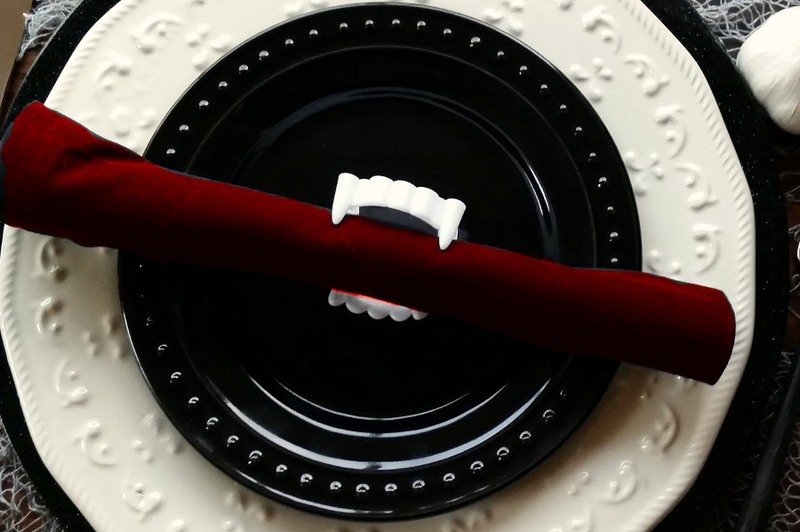 If you’re looking for ways to make your table terrifying then these vampire teeth will certainly set the tone. Take some white cloth napkins or even paper ones and dot them with fake blood or anything red that you have around the house like nail varnish or red wine. Buy some very cheap fake vampire teeth, pass a twist tie through them and fix the tie around the middle of your napkin. Now you have the makings of seriously creepy party food table. This look fantastic and are so cheap and easy to make. Clean up some old gallon milk bottles, spray paint them white if you need to and draw spooky-looking faces on them with black marker. 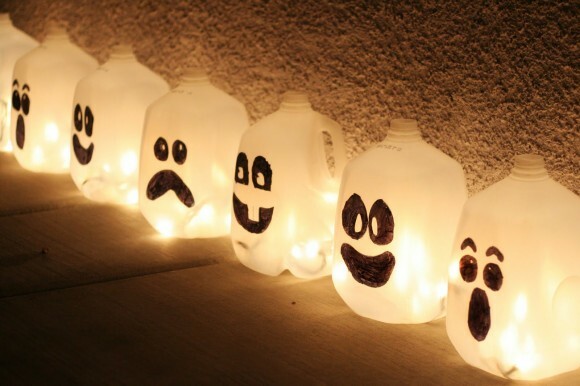 All you need to do then is pop some small white fairy lights inside the plastic jugs and place out front on your porch or front door for attracting all those trick or treaters! They look welcoming and fun but you can make their faces as scary as you like. 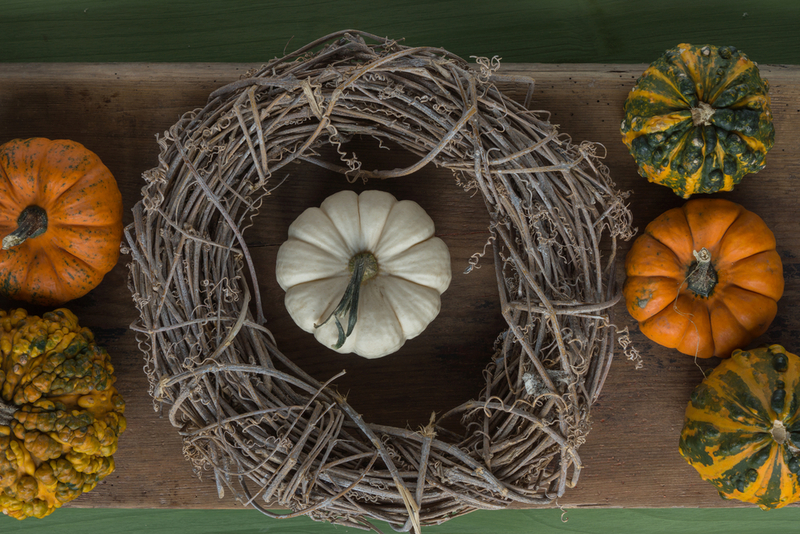 Large or small, natural or fake – pumpkins are not just for carving. 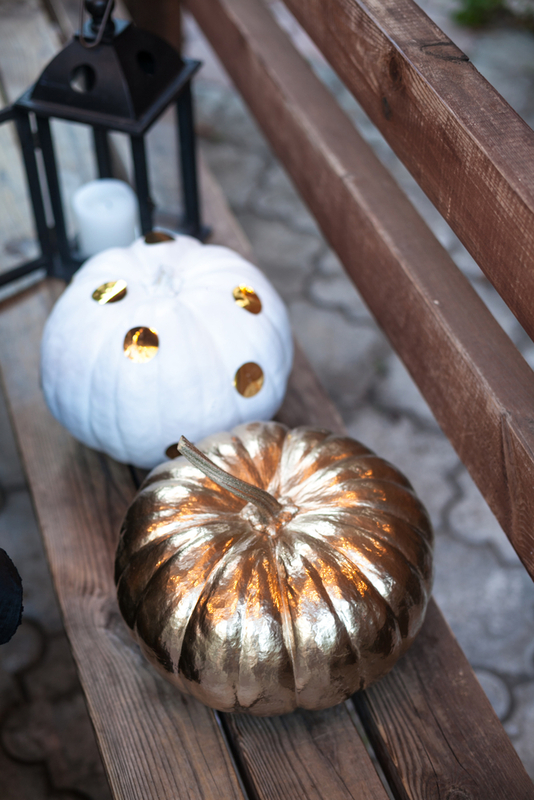 Think about glamming up your pumpkins with some glue and black glitter. Kids will love coming up with own designs for decorating their pumpkins with glitter and the patterns can be as complex or as simple as they want. Remember that you can also paint pumpkins, glue on decorative beans, use metallic paint pens or add decorative studs. There are so many ideas online for pumpkins that can be chic and stylish and displayed as ornaments. 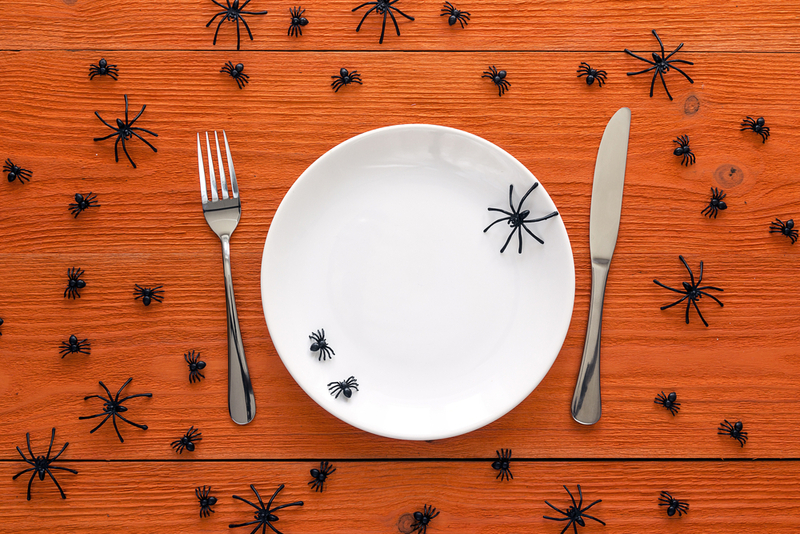 For the ultimate in terror-inducing table dressing, try these wonderful hand-painted creepy-crawly plates. Buy a set of cheap white plates, grab some inexpensive black ceramic paint and some insect silhouettes. Start by outlining the bugs, spiders are pretty easy and perfect for Halloween but you can try ants too if you find those easier. If you make a mistake, just rub off quickly and try again. Create a trail of spiders crawling across the plate and then leave to dry for 24 hours before use. Sprinkle a few plastic bugs across the table to heighten the effect and your guests will be grossed out but impressed! For this creation, you’ll need to pick up a basic grapevine wreath if you don’t have an old one lying around. You can keep it natural or spray paint it grey, black or blood-red. Make your own white felt ghosts or pick up some cheap ones from a craft store to attach to your wreath alongside a black bow or some ribbon. You can stick on lollipops too for a sinister sweet surprise for your guests. Hang inside or proudly on your front door to invite guests into your spooky abode. Put a twist on the usual cheerful floral display by taking your flowers to the dark side. 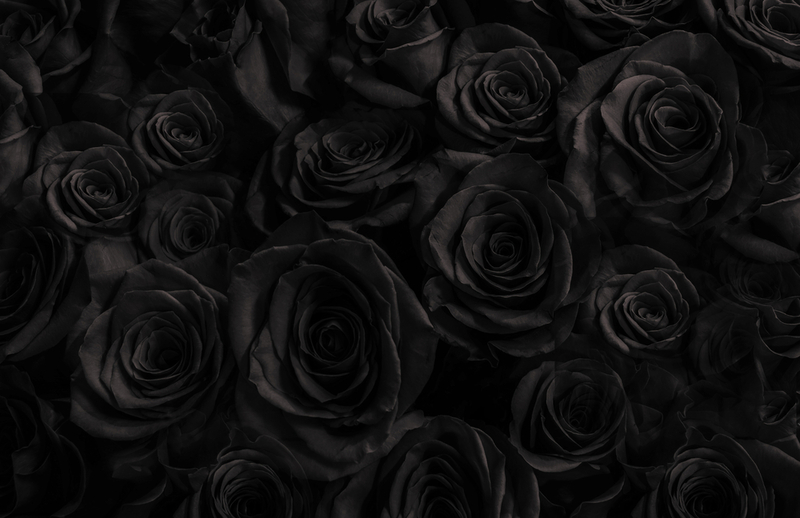 Making black crepe paper flowers creates a sophisticated shadowy addition to your Halloween makeover. Crepe paper streamers are inexpensive and you’ll only need some additional double sided tape to make your bewitching bouquet. Perfect for the mantel for a more grown-up Halloween party or ideal as a table centerpiece for any scary social gatherings! These ghastly ghouls will look fantastic anywhere and are guaranteed to give your home the ghostly vibe it needs this Halloween. To bring forth these apparitions all you need are a bunch of white tissue-paper bells, some cheesecloth, black construction paper and some glue. Make some eyes and a creepy mouth from the construction paper and stick onto the paper bells with glue. 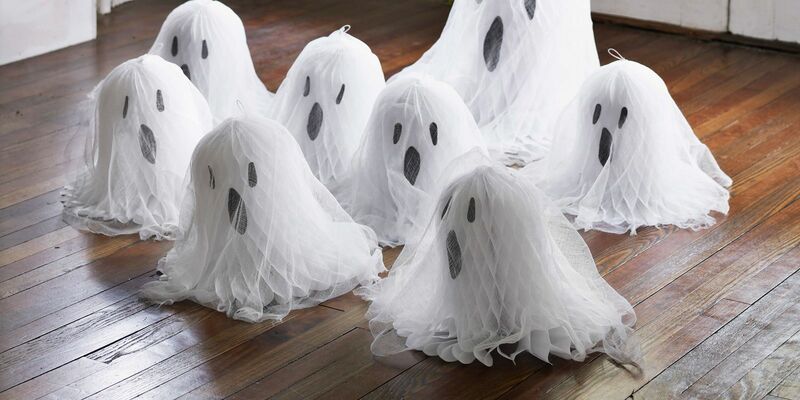 Drape each bell with some cheesecloth and you’ll have a little army of ghosts to place inside to complete your devilish décor! These floating head ghosts add an extra creepy touch to your front porch! 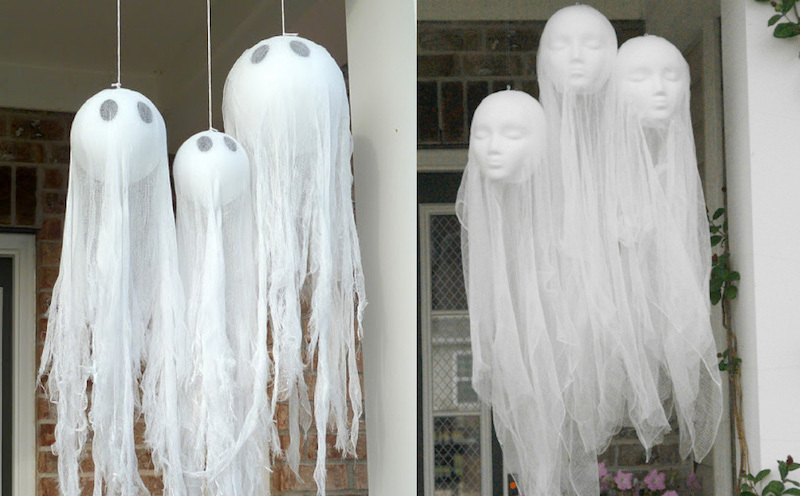 All you need are some cheap foam mannequin heads and some cheese cloth (or other thin fabric) to create these eerie DIY floating head ghost decorations. Cut the bottom necks off of the foam mannequin heads and drape the cheese cloth overtop. To make the face show through more, apply a little mod podge to the eyes and face and press the cheese cloth into it. Hang these homemade Halloween decorations on your front porch, in a window or in your home for a frightening sight!